Less severe punishments for taking a picture include up to 20 years in jail and a fine up to 40,000 baht. 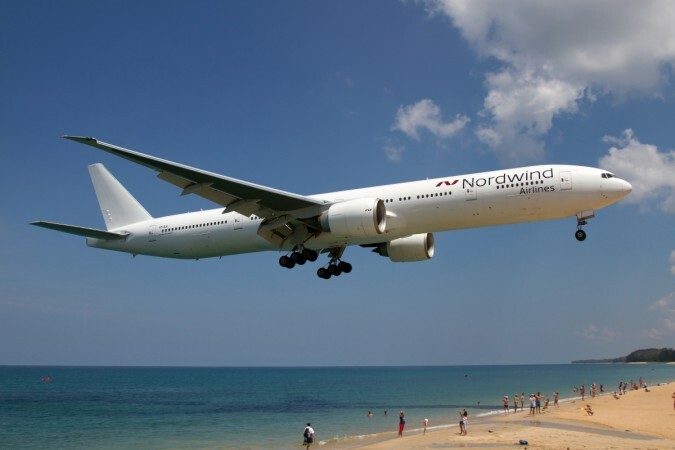 The Mai Khao beach near Phuket International Airport in Thailand is famous among tourists for taking amazing selfies with an aircraft in the background. But that is a thing from past now as the Thailand government has strictly banned taking photos there. You will have to pay the penalty with your life for taking photos of the runway area near the beach. Mai Khao is a popular destination among tourists in Thailand. People have always swarmed up near the island's north-western coast for a dip in the ocean and its scenic views, including the landing of aeroplanes that fly extremely low while nearing the runway. According to reports, the Thai government is now constructing a safety zone near the runway along the beach to avoid public access to the area. Officials stated that taking selfies can distract the pilot. Under the Air Navigation Act, those who are found in violation of these rules will be liable for maximum punishment set by the country. With the maximum penalty being a death sentence. Less severe punishments include up to 20 years in jail and a fine up to 40,000 baht for taking a picture. Deputy Chief of Phuket International Airport Wichit Kaeothaithiam on Thursday said, "people and tourists will not be allowed to enter this area to take photos," reports Bangkok Post. "The airport wants to boost tourism revenues, but at the same time, it must make sure there will not be any problem with aviation regulations ... Tourism and safety must coexist," he added.